The EB-5 Immigrant Investor Pilot Program, which is overseen by U.S. Citizenship and Immigration Services (USCIS), allows foreign investors and their families to gain permanent resident status through qualifying investments. The process is relatively complex, but broadly speaking, investors must complete four basic steps in order to obtain lawful permanent resident status. The first step in obtaining U.S. residency through the EB-5 program is to find the right project to invest in. Investors can either invest directly into a new commercial enterprise project or through a USCIS-approved regional center. Direct investments require the direct creation of 10 full-time jobs, and so many investors opt to invest in projects sponsored through regional centers, which can also count indirect and induced jobs toward the job creation requirement. Migration agents are often involved in matching potential EB-5 investors with compatible projects. 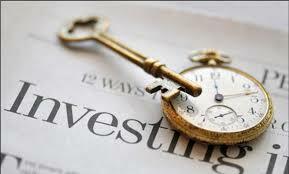 In order to invest in EB-5 projects, foreign nationals must be considered accredited investors. Once the investor has selected a project, he or she must invest the amount of capital required by the EB-5 Visa program. A minimum investment of $1,000,000 is required unless the project is located within a targeted employment area (TEA), in which case the minimum investment is $500,000. Typically, the invested capital is placed in escrow until the investor’s I-526 Petition is approved. The I-526 Petition is filed with USCIS and must demonstrate that the proper amount of capital was invested in a project that is expected to generate the required 10 jobs per EB-5 investor. After an applicant’s I-526 Petition is approved, he or she can apply for two-year, conditional permanent resident status. Investors who do not yet have an immigrant visa must submit Form DS-230 to the National Visa Center and be processed through their home country’s U.S. consulate or embassy. Investors who are already lawfully residing in the U.S. must file Form I-485, which will change their status to conditional permanent resident. Typically, either process requires the assistance of an immigration attorney. Conditional permanent resident status is effective for two years, during which time the investor must physically reside in the U.S. The investor may travel abroad without jeopardizing his or her status, but certain limitations apply.To learn more about these limitations please refer to our article on Green Card Holders Traveling Abroad. Conditional permanent resident status expires after two years and cannot be renewed—in order to maintain permanent resident status, the investor must file an I-829 Petition. This petition must be filed within the last 90 days of the conditional residence period and must demonstrate that the investor has fulfilled the requirements of the EB-5 green card program. Once the investor’s I-829 Petition is approved, the investor, his or her spouse, and any unmarried children less than 21 years old gain lawful permanent resident status. 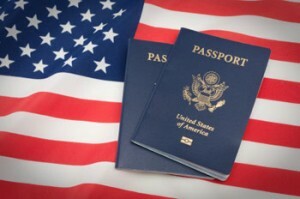 Five years after they received their initial conditional permanent resident status, the investor and his or her family have the option to become U.S. citizens.